Africa is one of the most vulnerable continents to climate change and climate variability, a situation aggravated by limited expertise and resources for climate science. 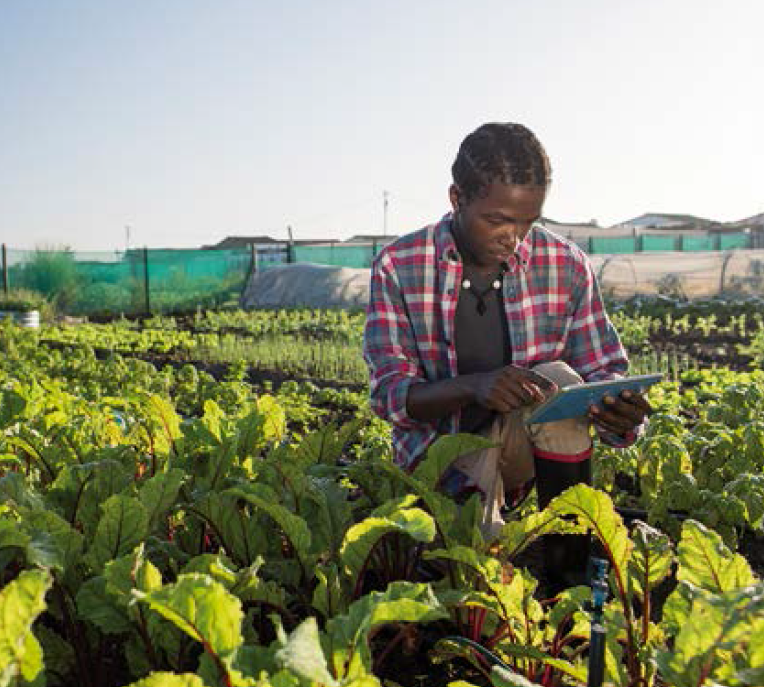 Developing Africa’s scientific capacity is crucial for forecasting and preparing for the impacts of climate change, steering adaptation and mitigation, and supporting African negotiators. While the importance of capacity development for climate change science and research in Africa is increasingly recognised, there have been few reflections on past capacity-development interventions and their impacts. This policy brief* is based on a study carried out the African Climate & Development Initiative (ACDI), University of Cape Town (UCT), funded by UK Department for International Development (DFID) and the Natural Environment Research Council (NERC) and commissioned by the Climate and Development Knowledge Network (CDKN) to advance understanding of scientific capacity development (SCD) on climate change in Africa. A full report on this study is available on the FCFA website (www.futureclimateafrica.org)(also available under further resources). The study helped to inform the capacity-development strategy of the Future Climate for Africa (FCFA) programme. Findings from a literature review, online survey and evaluations of case study SCD initiatives (based on in-depth interviews with 28 participants and seven organisers from delivery institutions) highlighted barriers and opportunities for robust SCD systems in diverse African contexts. A summary of the methodologies used in the SCD study that informed this policy brief is provided in Table 2 on page 6 of the brief. Climate change research is multifaceted and scientists should engage with non-scientific communities to ensure the relevance and use of their research findings. This means climate change scientists must have a range of competencies, including competency in a specialised area as a base for their expertise, as well as interdisciplinary competencies that enable them to work with people in other disciplines and to situate their research in the broader context. Capacity in the individual is built up through iterative and reflexive learning across a person’s career trajectory; such learning is often fragmented and ad hoc in African contexts. There has been little analysis or evaluation of past scientific capacity development (SCD) initiatives and programmes to determine which factors enable successful outcomes. A context–mechanisms–outcomes evaluation framework is a useful analysis tool. There is a need to shift incentive structures, develop infrastructure and support a mix of SCD that covers the full spectrum of competencies that climate scientists need. To be robust, SCD systems across diverse African contexts must have supportive elements at the level of the individual, the institution and the broader enabling system. Adequate funding both for individuals and institutions. Human resources at an institutional level to share expertise and manage or coordinate funds and activities. Infrastructural or computing capacity to ensure functionality of data and climate information systems. Baseline skills of participants within their specialisation upon which to build interdisciplinary competencies. Supportive platforms for communication enabling reflexive transfer of relevant information between participants and stakeholders. Supportive academic professional interactions to provide guidance, stimulate new ideas and ways of thinking, and facilitate new collaborations. An ethic of collaboration at individual and institutional levels can facilitate peer-to-peer, cross-disciplinary, cross-institutional and/or cross-border collaboration. Integrative reflexive approaches help participants and/or stakeholders to understand their existing resources and competencies, and identify gaps and needs. Autonomy to practice and pursue opportunity both as individuals and institutions. In order to develop robust SCD systems across diverse African contexts, support and coordination are needed between institutions delivering climate change SCD in Africa and the broader, systems level. Such enabling support can come from: i) delivery institutions, such as multi-year research programmes; ii) support institutions; or iii) research policy and funding institutions. Recommendations for each of these types of institutions are outlined on pages 4 and 5 of the brief. The study was also able to point to some of the elements of the enabling system-level that supports early career researcher SCD, but this is an area that requires in-depth research in its own right. The enabling system-level is intimately related to policy and research incentive systems, which fell outside of the boundaries of the study, yet have a significant longer term impact on SCD, as was also pointed to in the SARUA Mapping study (2014). Institutional capacity development for SCD also requires further research, especially from a workplace mentoring and human resource planning and development perspective, and from a wider university supply system perspective (current insights into this from a systems perspective are currently limited to the SARUA study 2014, which covers southern African countries only). A later study will need to address in more detail the secondary capacity-development objective of FCFA, namely that of developing the capacity of climate information users, decision-makers and other stakeholders, including communities. The Climate and Development Knowledge Network (CDKN) aims to help decisionmakers in developing countries design and deliver climate compatible development. We do this by providing demand-led research and technical assistance, and channeling the best available knowledge on climate change and development to support policy processes at the country level. Future Climate for Africa (FCFA) aims to generate fundamentally new climate science focused on Africa, and to ensure that this science has an impact on human development across the continent. Cobban, L., New, M., Lotz-Sisitka, H., Rosenburg, E., Steynor, A., Waagsaether, K., Kamau, J., Correy, S., Dietrich, K., Schweizer, S. and Gwaltney, A. (2016). Barriers and opportunities for scientific capacity development on climate change in Africa. CDKN Policy Brief. Climate & Development Knowledge Network: London, UK.